The Fukushima Daiichi nuclear disaster occurred on March 11, 2011, after a devastating tsunami triggered by the magnitude 9.0 earthquake engulfed the nuclear plant. Some reactors' coolant systems failed which resulted in multiple hydrogen-air chemical explosions. Three of the plant’s six nuclear reactors melted down and radiation leaked into the atmosphere, soil and sea. The incident was called the world’s worst nuclear disaster since the 1986 Chernobyl catastrophe. Cleaning the toxic waste from the abandoned nuclear plant and reactors decommissioning have become TEPCO’s principal task. The last cover was removed from the Fukushima-1 Nuclear Plant reactor No. 1, local media reported on November 10. Now all the temporary protective constructions have been demolished, and the reactor is completely exposed for the first time since 2011's nuclear catastrophe. The levels of radioactivity in the 50-mile radius around the crippled Fukushima nuclear power plant have dropped by 65 percent since a devastating tsunami hit it in 2011, the Japanese reconstruction minister said Tuesday. 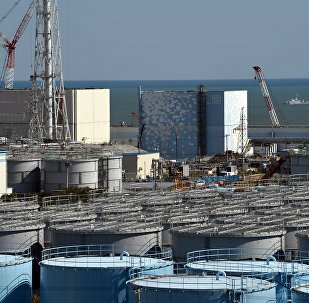 The barrier constructed at the Fukushima nuclear power plant to prevent contaminated water from leaking into the ocean has tilted, developing a crack about 500 meters (0.3 miles) in length along its base, local media report. Japanese authorities have confirmed the first case of cancer due to radiation exposure of an employee of the Fukushima power plant, which suffered a meltdown in three of its six reactors 2011, local media reported Tuesday. Some 2,700 Japanese protested against Tokyo's plans to bury Fukushima radioactive waste in the town of Shioya. The Fukushima nuclear disaster will have a more lasting impact on the mental health of evacuees due to their refugee status and associated social stigma than on their physical well-being, a set of three studies by Japanese scientists indicates. 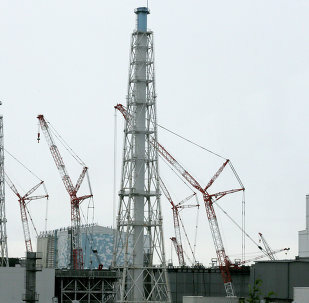 TEPCO will start dismantling the cover on July 28. A decision of the Tokyo Electric Power Company (TEPCO) to begin Friday preparatory work to dismantle the protective cover over the Reactor 1 building at the damaged Fukushima nuclear power plant raises questions, an expert in the nuclear energy told Sputnik. 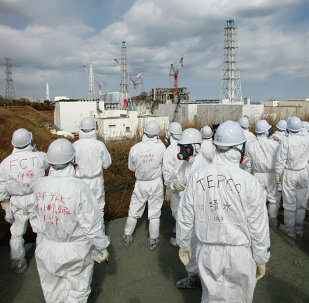 TEPCO is freeznig the soil around crippled Fukushima reactors to prevent a buildup of contaminated water. Hundreds of residents of Japan's city Minamisoma are suing the government for removing evacuation advisories near the damaged Fukushima nuclear plant, claiming radiation levels are still high in the area, the Asahi Shimbun reported Wednesday. 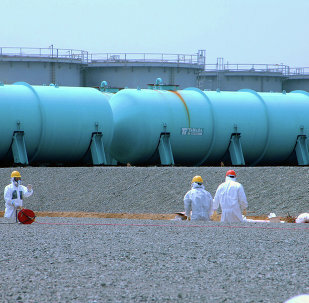 Tokyo Electric Power Co. (TEPCO) has pledged it would release all the information regarding Fukushima No.1 nuclear plant radioactive contamination after it had been revealed last month that the company concealed sensitive data on radioactive rainwater leak. Despite the fact that two reactors of the Sendai Nuclear Power Plant meet new government regulations on nuclear safety, the plant still needs the approval of the Nuclear Regulation Authority on procedural matters. The frozen soil shields are necessary to prevent radioactively contaminated water inside the plant from reaching the ocean. TEPCO began construction in June. The IAEA delegation will provide advice on safety and technological aspects of decommissioning, waste management and other related activities, as well as on the planning and implementation of decommissioning and pre-decommissioning work. Two workers died at the crippled Fukushima Daiichi, devastated by a tsunami in 2011, and a nuclear power plant located several miles away. A group of Japanese citizens filed a second complaint against nine high-ranked officials, citing negligence that caused the notorious Fukushima nuclear accident in March 2011. Radioactive substances from the defunct Japanese Fukushima nuclear power plant have reached the Canadian shelf, but levels of contamination are far below those thought to be of human health concern. 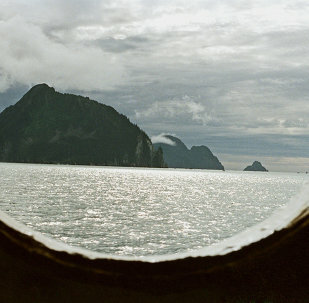 The Chief Public Information Officer at Alaska Department of Environmental Conservation said that Alaska is not in danger of being affected by Fukushima radiation, because the the water samples off the coast showed extremely low levels of radiation.